Hello! This week over at Just Us Girls we are using vellum for our Trend Week challenge. 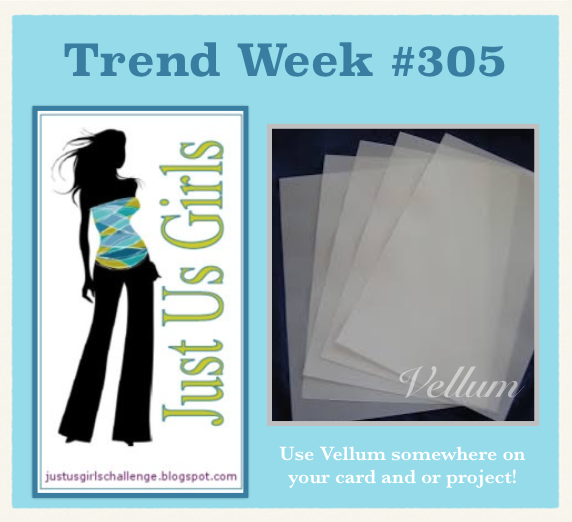 I love vellum, but I dread using it because I never know how to hide the adhesive! But I pushed on and I do love it! Here's what I did with it. I saw a card done by Debby Hughes on Pinterest that I pinned here and used it as my inspiration. I die cut the leaves from cardstock and vellum and layered them together. Before I did that, however, I spritzed the cardstock with some white spray ink. I mounted the leaves on white cardstock, added the die cut sentiment from pattern paper, some sequins, and a twine bow. I adhered a strip of pattern paper to the kraft cardstock base. The main panel was adhered with fun foam. Love the softness of the vellum! 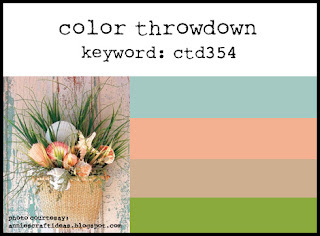 I took my color inspiration from this week's Color Throwdown. You can see more from the JUGs design team and our guest, Karen, on the Just Us Girls blog. This is a beautiful card Lisa! Gorgeous! I really need to get those leaf dies - been putting it off forever! Really beautiful card, Lisa. I love those leaves! WOW Lisa your cas card is gorgeous. Lovely leaves especially with the vellum so soft looking. Sooo pretty, Lisa! Love those vellum leaves! Thanks so much for joining us at the Color Throwdown! 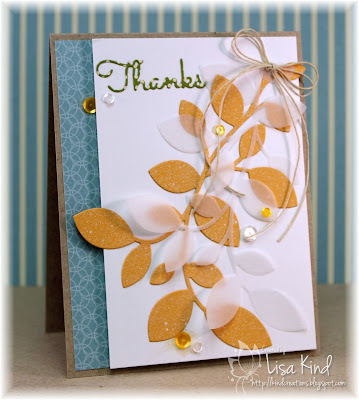 LOVE this leafy card creation! The mix of vellum leaves with the cardstock leaves really softens the look. Thanks for joining us at Color Throwdown! I love those layered leaves with the sprinkling of sequins! Beautiful creation! Gorgeous card!! Such a fabulous design! So pretty! OMG! I love this card!! So elegant and pretty with the vellum leaves...great use of the colors!!! 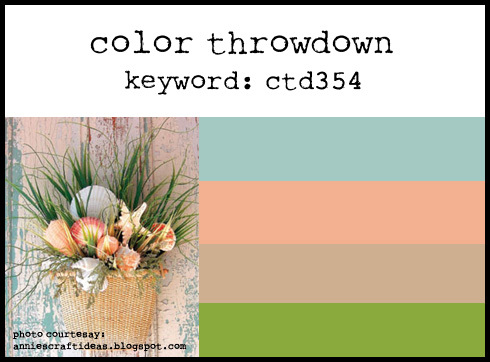 Thanks for joining us at the Color Throwdown Challenge!!! This is so pretty, Lisa! LOVE how the vellum adds a touch of elegance! Thanks for joining us for the Color Throwdown!